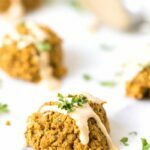 Try these insanely delicious Grain-Free Falafel Bites! 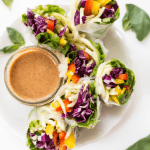 They're perfect on top of salads, as a protein for buddha bowls or served as a healthy appetizer! Hey friends! I'm pumped to be back in the kitchen and sharing a recipe that I've been working on for a few weeks. 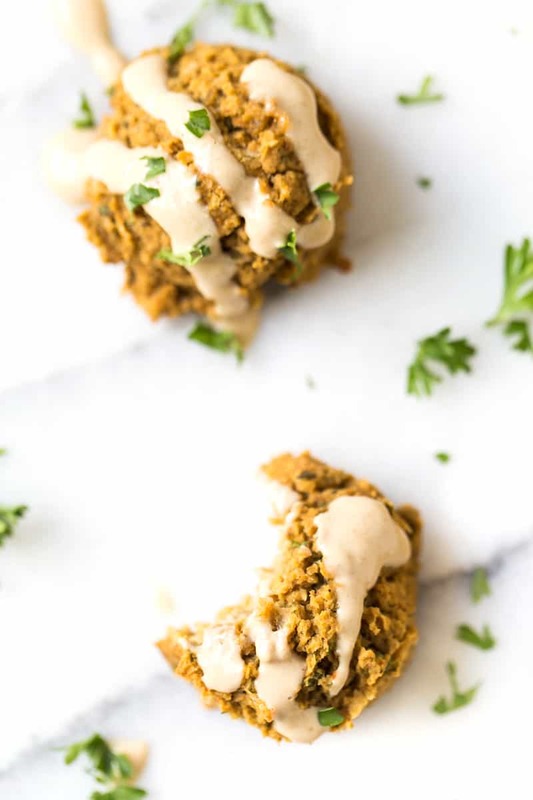 These grain-free falafel bites are my version of the falafels from Sweetgreen and they are SO good! I actually took about a week off from the blog and spent some much needed time with my family. I went up to Maine for the weekend to celebrate my grandfather's life and also celebrated my own 29th birthday! It was such a special weekend, all my family was there (cousins, aunts, uncles, grandmother, brother and my parents), and I couldn't have asked for a better way to welcome my final year in my 20s. Hard to believe a decade is almost over, but I know this year is going to be filled with some pretty spectacular things! So yes, while it was incredible to take a little time away, I'm so happy to be back! If you've ever watched my Instagram stories than you know we get Sweetgreen at least once per week and I am crazy about their falafel! 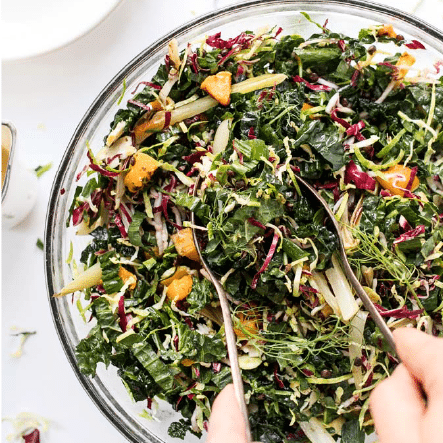 It tends to be a little bit on the dry side, but still goes well with pretty much every salad combination you could think of. But since those salads are pretty dang pricey, I thought I'd give my own version a try. 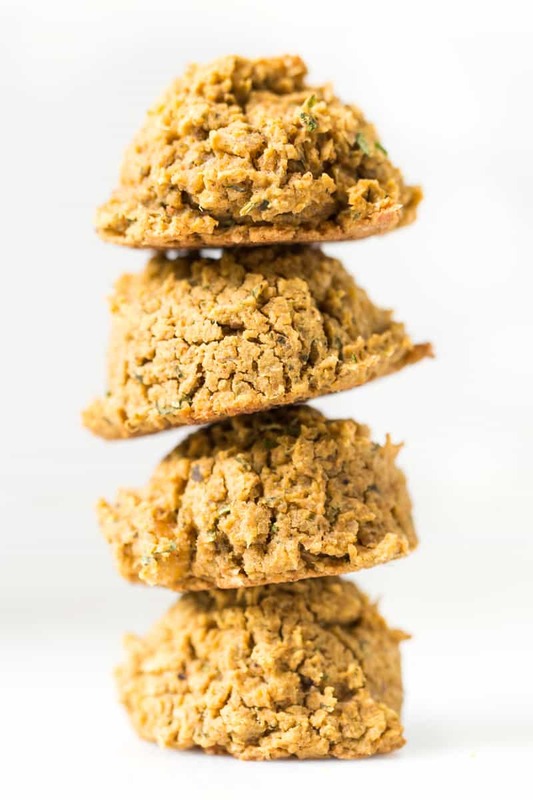 Like I mentioned, we're whipping up this tasty little grain-free falafel bites, which are actually inspired by my go-to salad from Sweetgreen! I did a bit of research beforehand and found this ancient recipe to base it upon. 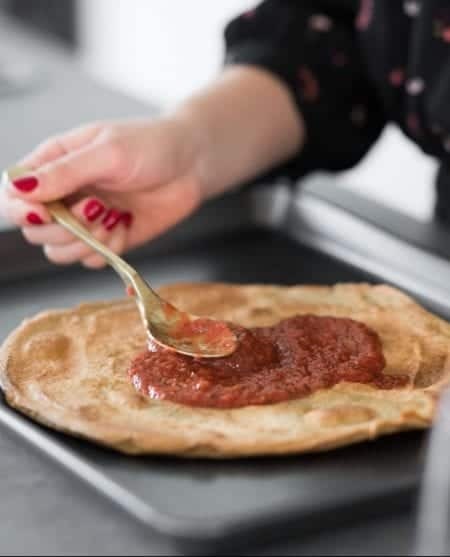 Honestly, I didn't change much aside from adding the oil directly into the falafel, which makes them super moist, and swapping in chickpea flour. I also baked them differently which I think gives them a nice shape and makes them even easier to whip up. Overall, they're pretty darn close to the original Sweetgreen recipe, but I personally think they're even tastier! 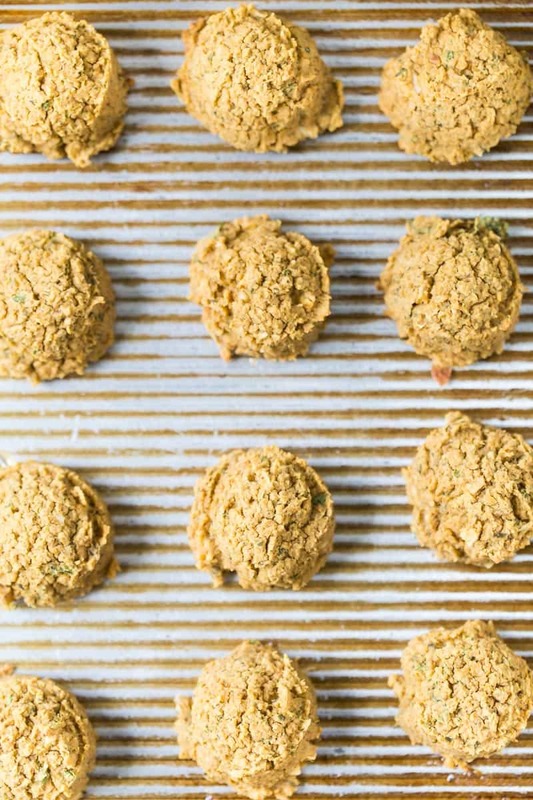 These grain-free falafel bites could not be easier to make. You just throw everything into your food processor and blend it up until you get this thick, creamy dough. Scoop it out onto a cookie sheet, bake it for about 25 minutes and you're done. So simple, packed with flavor, grain- and gluten-free, soft on the outside, tender on the inside and SO flavorful! I have to admit, I was a bit skeptical of the seasoning, but it's one of those combos where you can't knock it till you try it. The combination of chili powder and cumin really add a nice earthiness to the falafel without compromising the Mediterranean flavors. Of course, we also have some traditional Mediterranean flare from the lemon, garlic, parsley and cilantro! 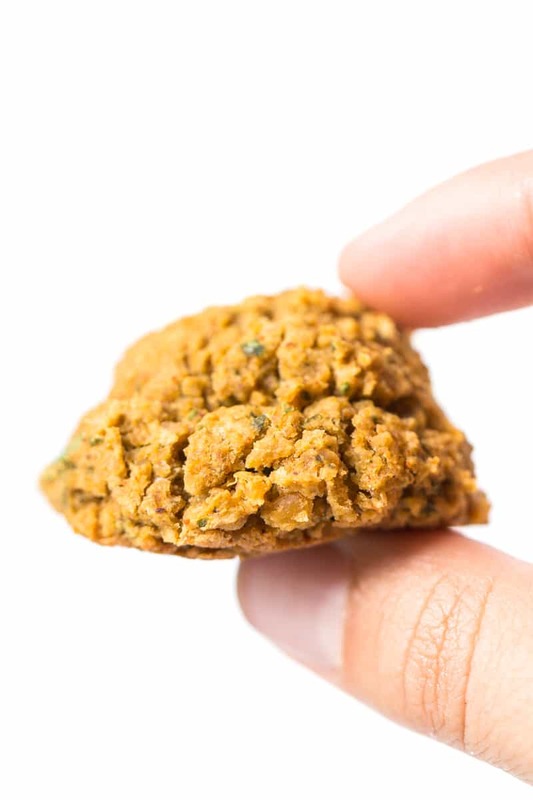 Flavor aside, the best thing about these little bites is actually they're texture. I find they have that perfect crunchy outside and soft, pillowy interior that you would get with a fried version, but are way healthier. 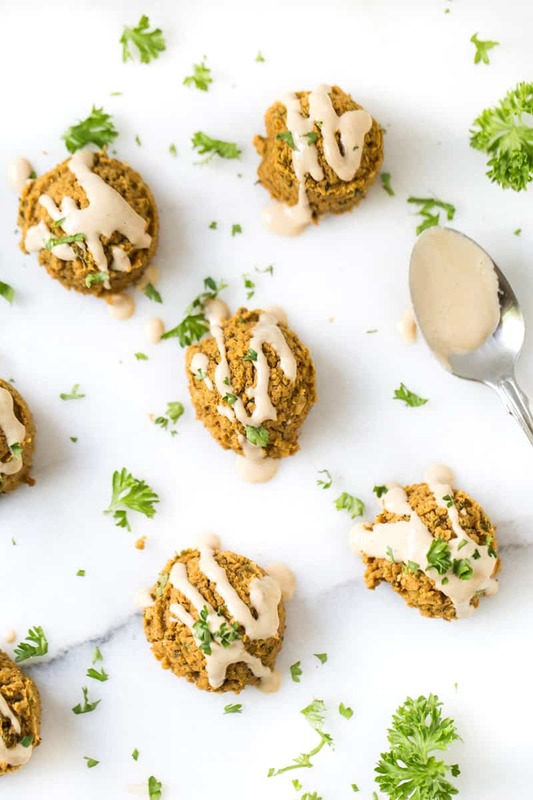 And just like the ones from Sweetgreen, these little falafel bites go well with pretty much everything. In your kiddos lunch box! or really any way you choose! Want some dressing ideas? 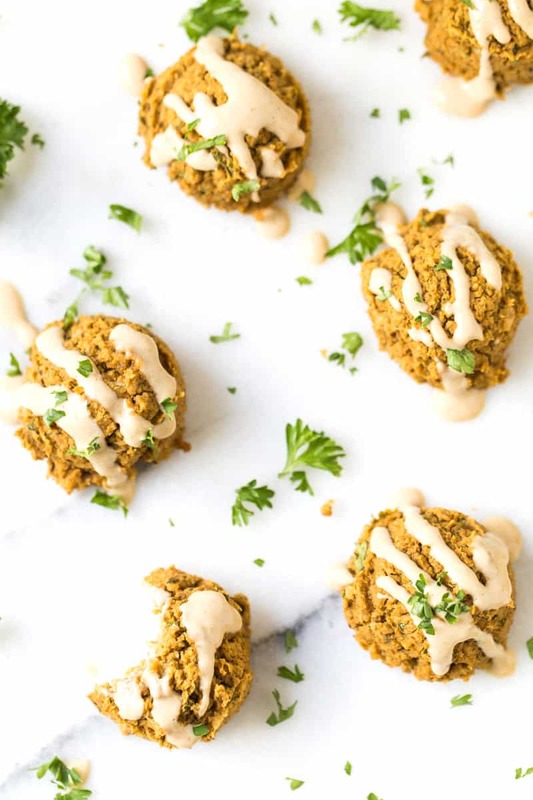 These falafel bites would be amazing with my Maple Tahini Dressing, Lemon Herb Tahini dressing, my Everyday Vegan Pesto or even my Vegan Lemon Cream Sauce! 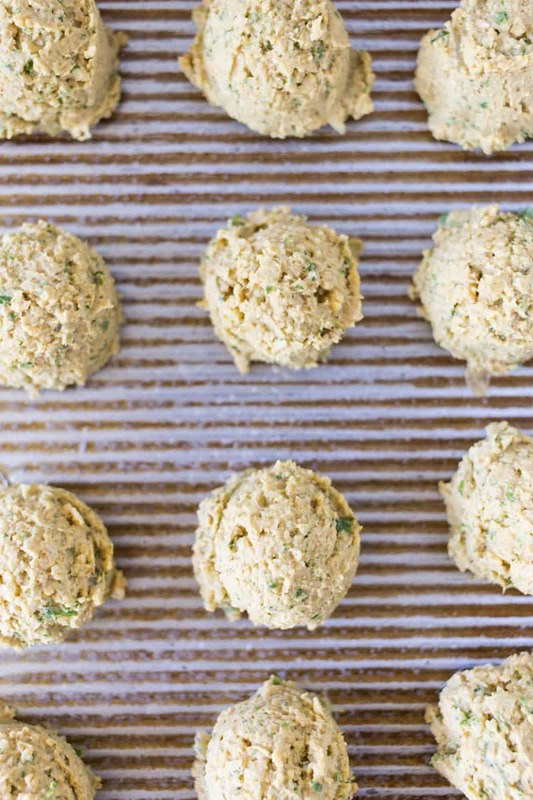 Hope you guys ❤️ this new grain-free falafel recipe! I can't wait to see what you end up serving it with. 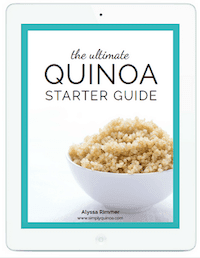 Make sure to snap a pic and share it with me on Instagram by tagging @simplyquinoaand using #simplyquinoa! 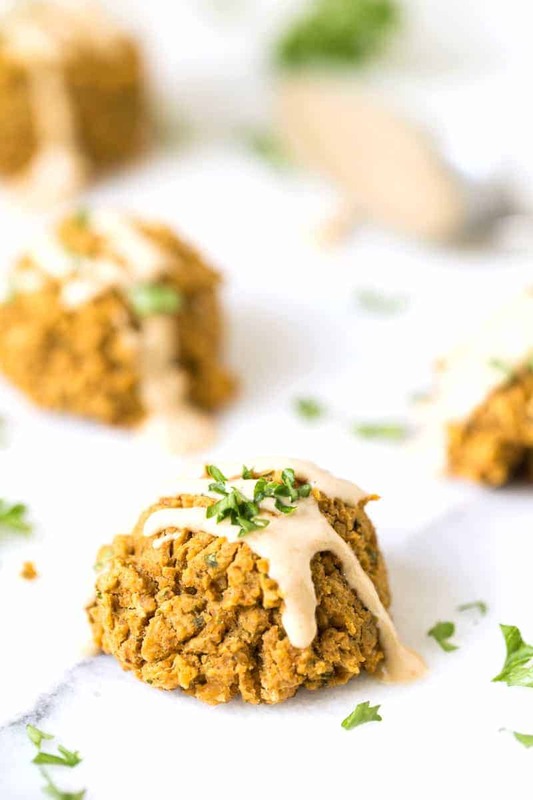 Whip up these delicious grain-free falafel bites for your next dinner. They're quick, easy and are perfect on top of salads! Add all the ingredients to a food processor and blend to a thick, paste-like consistency. Using a tablespoon sized cookie scoop, scoop the dough into balls onto a greased baking sheet. Repeat until no dough remains. Bake the balls until golden brown and crisp, about 20 - 25 minutes. Allow to cool for 10 minutes, then enjoy! I love these & make them all the time. Thanks for such a great recipe! Do you know if these freeze well after baking? 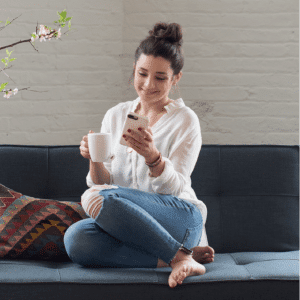 Hi Alyssa I’ve been enjoying your blog. 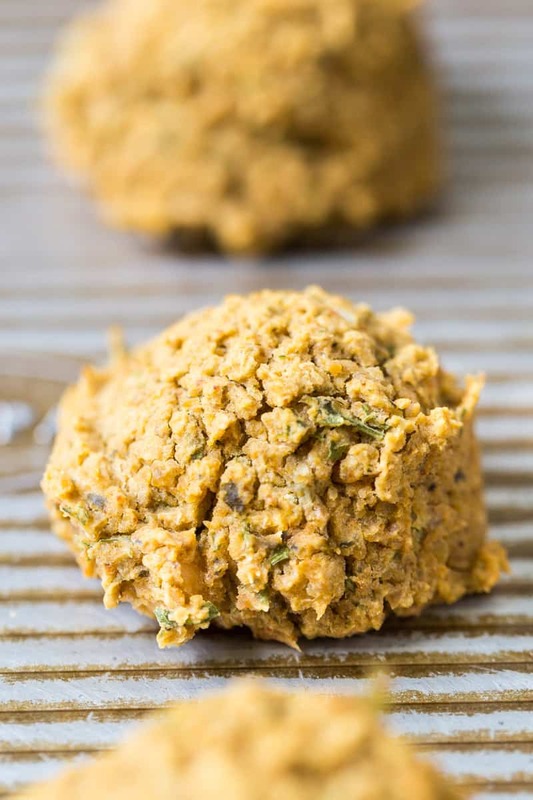 Any alternatives to chickpea flour?